Yayy Muamba is feeling better! 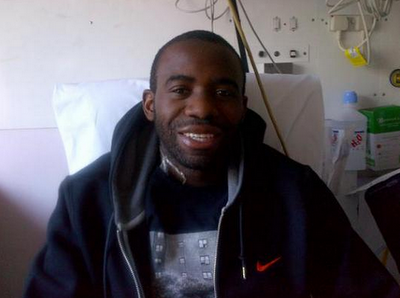 The footie star who suffered a heart attack is recovering well in the hospital. The footballer asked his fiancee to tweetpic his picture to thank all his fans for their 'overwhelming support' - Get Well Soon Fabrice!